SNP MSP for the Angus South constituency, Graeme Dey, has met with Alex Hynes, Managing Director of the Scotrail Alliance, and Liam Sumpter, Chief Operating Officer for Network Rail in Scotland, at the Scottish Parliament to discuss issues around recent disruption to rail services and to raise constituents’ concerns in relation to Carnoustie and Arbroath train stations. Mr Dey sought reassurances on mitigating disruption associated with the upcoming level crossing work at Carnoustie, and highlighted the condition of the footbridges in the town. 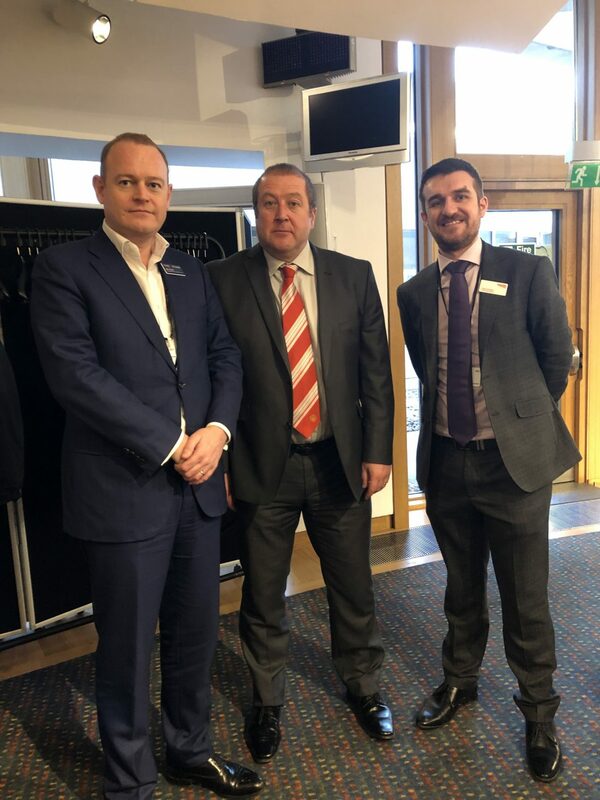 The Angus South Constituency MSP also stressed accessibility concerns with regard to the operating hours of the lift and waiting room at Arbroath station. Mr Dey believes that the meeting was a constructive one and that there are many positives to be taken in relation to the future direction of travel. The MSP is keen to encourage people to make the most of the greatly increased services brought about by the timetabling changes. “The additional train services that Arbroath, Carnoustie and Monifieth all gained in December are welcome news for the three towns. “Unfortunately, Scotrail’s performance at that time was not acceptable. This has been acknowledged by Scotrail and the Scottish Government. “The train service since then has improved but the Scotrail Alliance must continue to ensure that the people of Angus South have a reliable service. “I also took the opportunity to highlight issues pertaining to Carnoustie and Arbroath stations that constituents have raised with me.